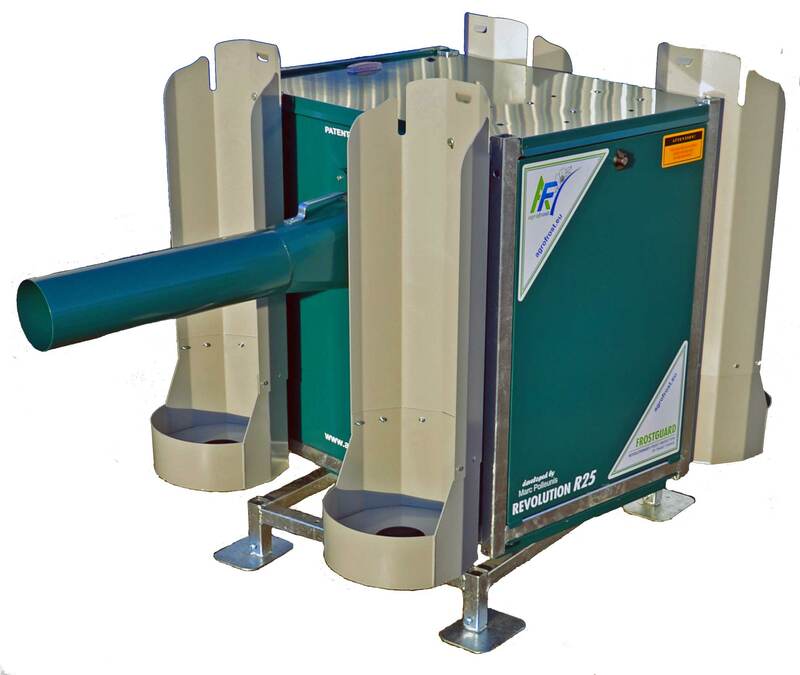 The Frostguard was especially developed for fruit growers, grape growers and vegetable growers, to be used in greenhouses, plastic tunnels and small vineyards and orchards. But the FrostGuard is so flexible and easy to use that more and more growers buy it for larger areas. Especially since the machines can be equipped with an Auto-Start System. The FrostGuard will fight night frost AND improve your fruit set. The first FrostGuards were sold in 2007 and for the season 2012, we introduced the GC model. In December 2016, we introduced our FrostGuard Revolution, again with a lot of improvements. And for 2018, we introduce the new Basic, an economical version of the FrostGuard. Let’s have a look at the two different series of the FrostGuard: the Revolution and the Basic. The FrostGuard Revolution is our top model. It was introduced on the market in 2016. It is smaller and lighter than the previous model and therefore from the introduction particularly popular. It’s completely closed with doors on all sides. All doors and the roof are insulated, to prevent condensation and to reduce the noise. The Revolution can be equipped with an Auto Start System: you only need to set the temperature at which the machine should start and done. There are 4 different models of the Revolution. The R20 with the outlet just above the ground is ideal for orchards. 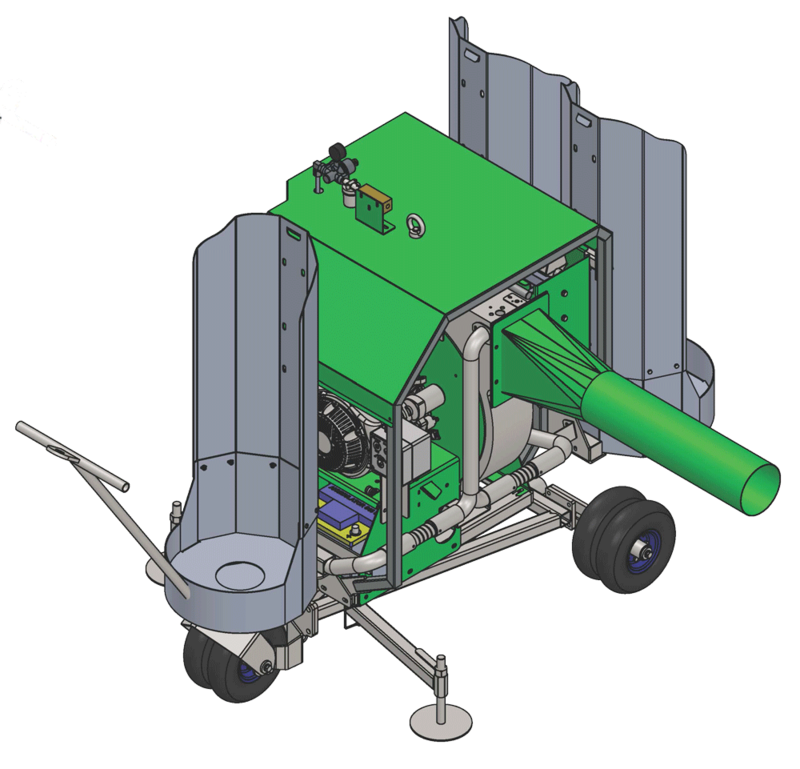 It can also be used in some vineyards and some low crops. The capacity depends a lot on the density of the trees. 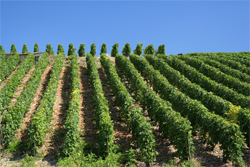 It covers a surface between 0,7 and 1 hectare. The complete machine rotates constantly 360°. The R25 with the outlet 1 meter above the ground is ideal for most vineyards. 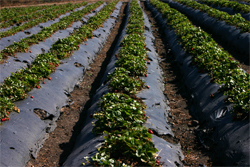 It can also be used in low crops like strawberries. The capacity depends a lot on the density of the plants. The R30 with the outlet above the machine is ideal for higher crops like blue berries. The capacity depends a lot on the density and the height of the plants. The outlet rotates constantly 360°. The R30 T has an outlet above the machine in a T-shape, so it blows to two sides. The outlet is not turning around in the standard version. 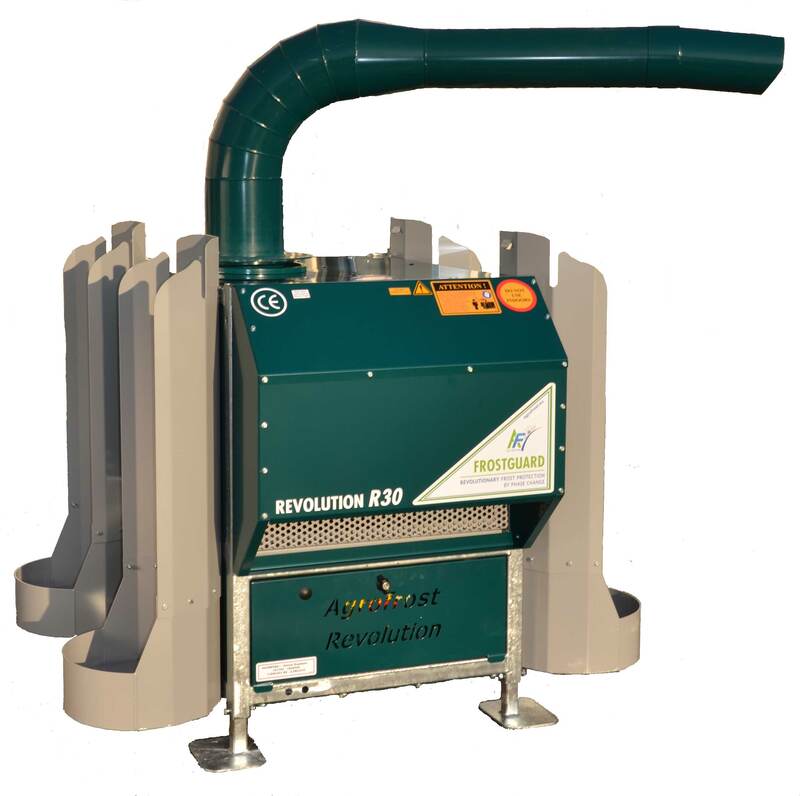 This machine is ideal for heating up big tunnels. As an option, you can choose for a rotating outlet. Although the Basic is an economic model, we have not cut back on safety and quality. 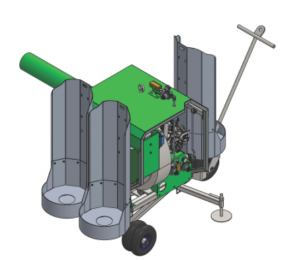 Because of the lower weight and the 3 wheels, it can easily be put in place. 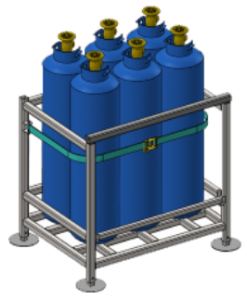 It can be setup in the field with 3 bottle holders mounted on the machine, it can be connected to a 500 kg tank or it can be connected to a container that holds 5 or 6 gas bottles. The Basic fits into this container which makes it easy to transport or store it. It can’t be equipped with an Auto Start System and, unlike the Revolution, it ‘s not completely closed with doors. There are 2 different models of the Basic. 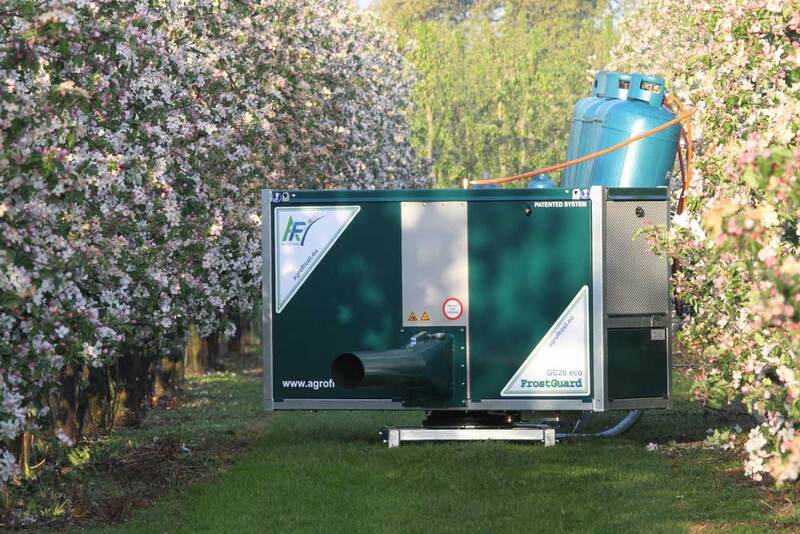 The B20 with the outlet just above the ground is ideal for orchards. It can also be used in some vineyards and some low crops. The B25 with the outlet 1 meter above the ground is ideal for most vineyards. It can also be used in low crops like strawberries. How does it work? --> By Phase Transition ! The FrostGuard has a gas burner and a powerful fan, driven by petrol engine that runs on propane gas. You just have to start the engine, adjust the temperature and the FrostGuard does the rest. There is gas to last one complete night. The outlet of the fan turns around 360° continuously, protecting an oval or round area. Machines can be spaced out in groups in relation to the shape and area to be protected. 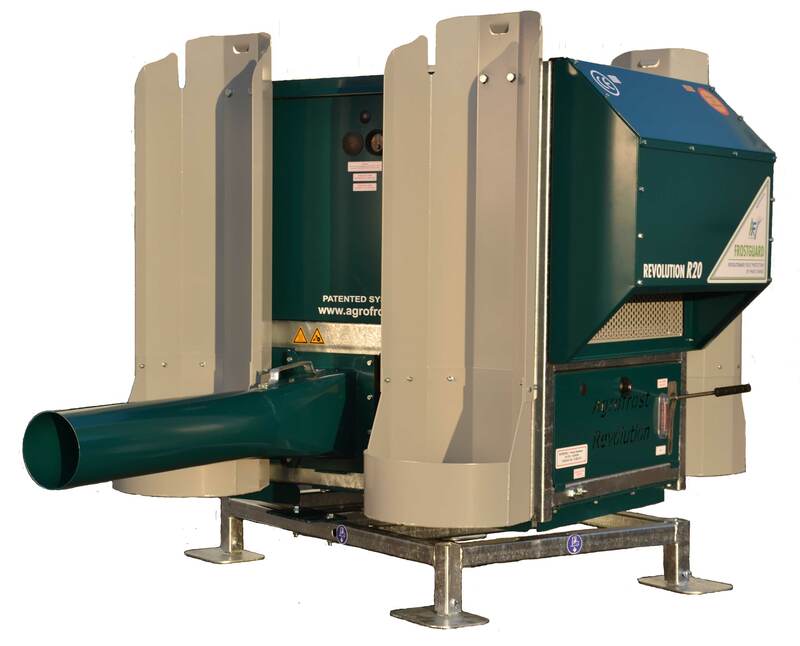 Another important advantage of the FrostGuard is that it’s easy to spread the investment over several years: you can start with 1 or 2 machines and buy more during the following years. Therefore, no big initial investment is necessary. 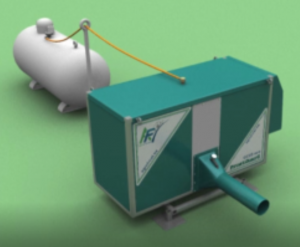 The working principle is, unlike all other frost protection systems, not based on raising the temperature above the critical values but on phase transition. Or in this case by controlling the forming of hoarfrost. Where our machines are used, we notice a significantly lower formation of hoarfrost. We all know that hoarfrost is the biggest enemy for the flowers and buds. But there is a way to use the enemy for protection. The transformation of vapour into hoarfrost is called desublimation or deposition and liberates a lot of energy. This energy is transferred to its surroundings, in this case the surrounding air but above all into the leaves and flowers themselves. We know that it’s precisely the hoarfrost that normally causes most damages. This is because the ice crystals extract energy and humidity from the flower. Without protection, the layer of hoarfrost will increase and finally cause damages by dehydration and under-cooling. But not with our system. Because we pass with a hot air stream, every 7 to 10 minutes, part of the ice evaporates (called sublimation) and the remaining ice gets energy from the passing air. The higher the humidity, the more energy that is transferred. After a few minutes, the air cools down again, the relative humidity increases and some new rime will be formed. This liberates again energy and gives again energy to the flowers. This allows us to create an optimal protection with only a fraction of the energy input that is needed by other systems. The investment can be spread over several years. At very low temperatures, it’s still possible to get a complete protection by putting more machines closer together. After start up, works automatically. 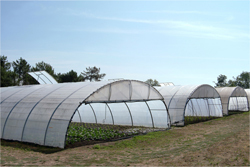 Can also be used in greenhouses, plastic tunnels. Ideal for smaller plots but also for bigger plots. Easy to move, mobile, not a fixed installation. Easy to start up, easy to shut down. 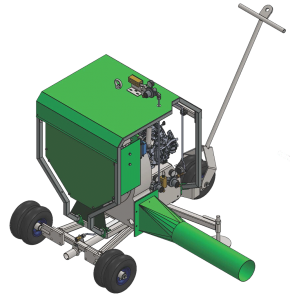 Multifunctional: can be used almost everywhere, for many applications and crops. 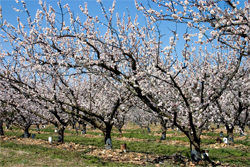 For night frost protection in orchards for all kind of fruit, in vineyards, in greenhouses and plastic tunnels, for strawberries, raspberries, flowers, vegetables, apples, pears, peaches, plums etc. 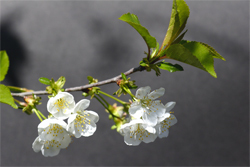 To improve the fruit set in low temperature during blossom.